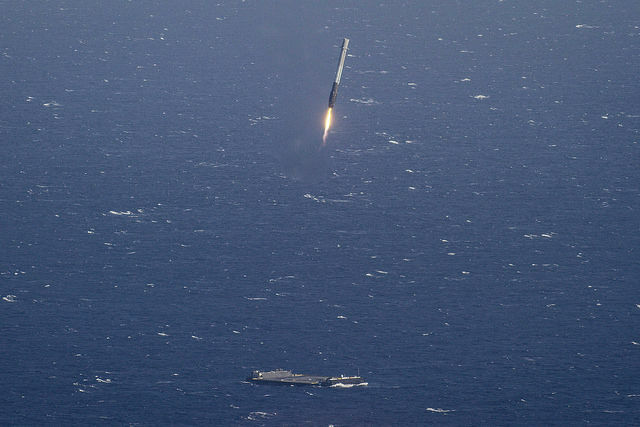 The space launch company SpaceX has successful landed the first stage of its Falcon 9 rocket on an unmanned barge in the Atlantic Ocean. 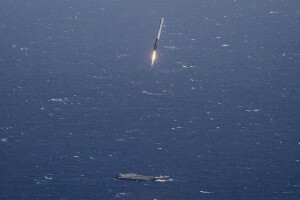 The rocket was returning from launching SpaceX’s Dragon spacecraft to the International Space Station. This was the fifth attempt for SpaceX after unsuccessful landings on the previous four launches. The success of the SpaceX launch means that it is much more likely that the company will realize its goal of producing a truly reusable rocket, which will significantly reduce the cost of space travel. The CEO of SpaceX, Gwynne Shotwell, said that making the Flacon 9 reusable would cut the cost of launching it by 30 percent. SpaceX has been carrying cargo for NASA since 2010. Their agreement is an example of cooperation between the government and business, which is beneficial to both parties.